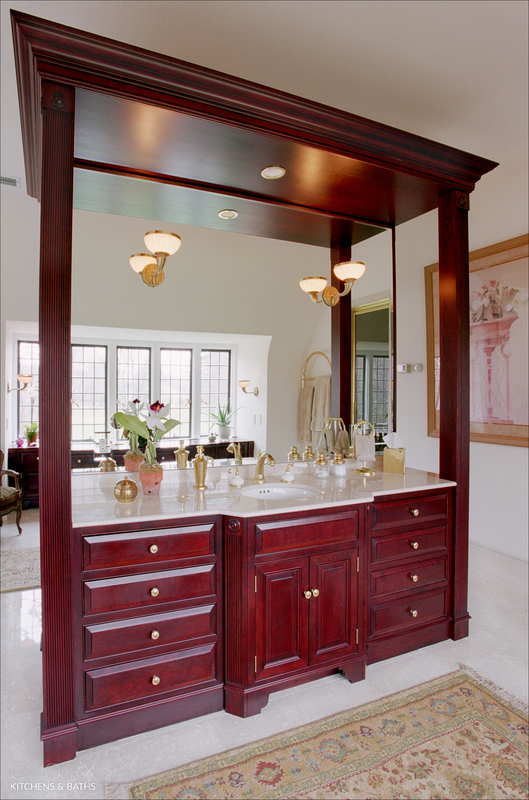 This massive bathroom has classic cherry Quality Custom Cabinetry has a beaded inset, full-height posts with reeded detail and rosettes, and a step-out sink base. 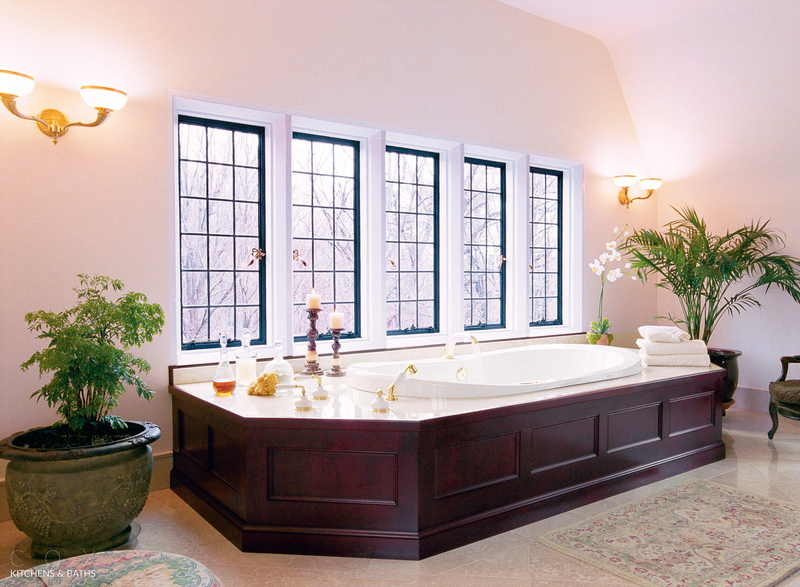 The drop-in tub has a custom tub deck with wainscot panel riser and marble top surface. 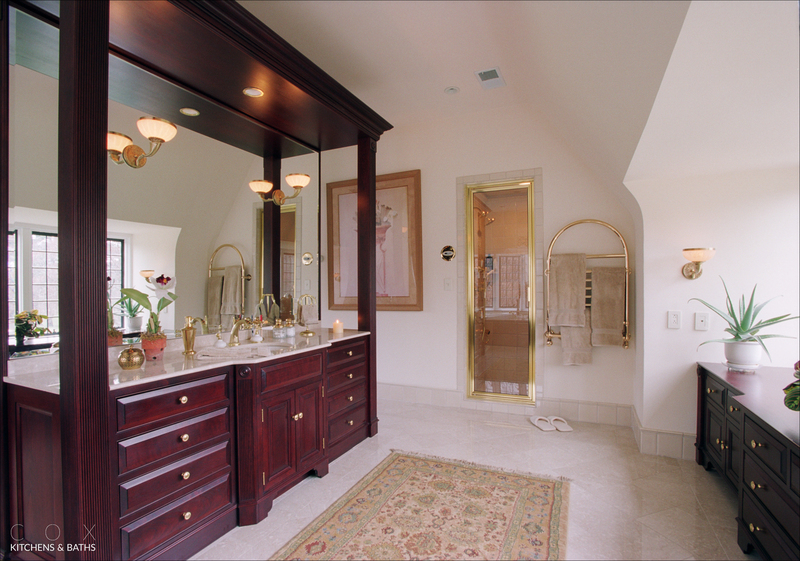 Other details are a heated marble tile floor, a steam shower, and polished brass accessories including heated towel racks.